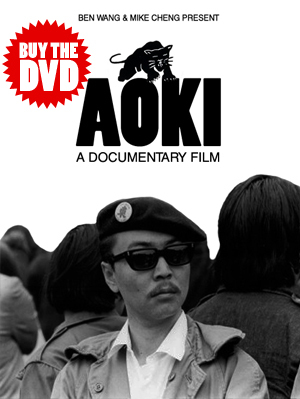 A recent article (published at CIROnline.org) and book (entitled Subversives: The FBI’s War on Student Radicals, and Reagan’s Rise To Power), both authored by Seth Rosenfeld, contain a serious allegation that Richard Aoki acted as an FBI informant throughout his involvement in several revolutionary movements for social justice. If these allegations are proven to be true, we do not condone these actions in any shape or form. However, as the discourse and investigation of these claims commence, we feel it is important to remind people that the burden of proof must fall on those that make the accusation. “No investigation, no right to judge” is a common Movement saying that bears repeating in these circumstances. Accusing anyone of being an informant is extremely inflammatory and any allegations must be taken seriously and thoroughly investigated for evidence. For those familiar with the history of COINTELPRO and tactics employed by the FBI falsely hanging snitchjackets on prominent contributors to the Movement to create internal dissent and conflict, the burden of proof must lie with the individual or group making the claim. After reviewing Rosenfeld’s article, video, and book, there is no solid evidence presented that Richard was a FBI informant. He claims Richard made “suggestive statements” during an interview he granted Rosenfeld in 2007. However, the audio Rosenfeld has provided of the interview reveals that Richard clearly denied any allegation that he was an FBI informant. An interview with former FBI agent Burney Threadgill in which he claims he recruited and trained Richard to be an informant. Threadgill passed away in 2005 and does not appear to have offered any additional proof beyond his own word, which contradicts Richard’s. An FBI document that connects Richard with a supplementary T symbol (SF T-2). This document does not explain what this designation meant except for the unclear statement, “the limited purpose of describing his connections with the organization and characterizing him.” Furthermore, all names under the Informants column on the page with the SF T-2 designation have been redacted. In fact, all names on this page have been redacted except for Richard’s, which calls for further information and clarification as to the actual identity of SF T-2. Since the identify of SF T-2 is unknown, it is possible that the SF T-2 informant was assigned to inform on Richard, explaining why Richard’s name is listed on this document and why SF T-2 was “designated (assigned) for…Aoki.” The FBI files released by Rosenfeld do not reveal any documentation that Aoki actually provided information to the FBI. The testimony of former FBI agent M. Wesley Swearingen that Richard fits the profile of an informant. While Swearingen has been consistently outspoken and critical of the FBI’s counter surveillance tactics, he admits he does not have any actual connection to Richard. Armed with no proof, it is unacceptable for Rosenfeld to discredit Richard’s integrity based on the unsubstantiated word of a deceased FBI agent and a document with redacted and vague information. Many individuals and media outlets have immediately accepted the claims of an author who is aggressively promoting his book without properly examining the evidence for themselves. Instead of automatically trusting questionable government sources and Rosenfeld’s sensationalist journalism, we must scrutinize what Rosenfeld states as fact. We urge Richard’s former comrades, friends, associates, the 600 plus mourners who packed Wheeler Auditorium to attend his memorial service, and anyone concerned with government infiltration of social justice movements to get involved. We must conduct our own research and publicly share our findings to determine the truth of the matter. Characterized by many as a man of great principle, consistency, and integrity, Richard wouldn’t have it any other way.